The Vatican is looking to sign a deal with the Chinese government to accept the ordainment of eight Roman Catholic bishops. In doing so, however, the Vatican tacitly condones China’s ruthless meddling with and restrictions on religious freedoms, warns Sophie Richardson, China Director at Human Rights Watch. Tragically, Chinese authorities prosecute anyone whose faith does not fall within the five state-approved religions, and the Communist party deems religion merely a vehicle for opposition. The installation of surveillance cameras in mosques in East Turkestan and aggressive policies against practicing Buddhists in Tibet are but two examples of Beijing’s ruthless ‘war’ against religious freedom and diversity. 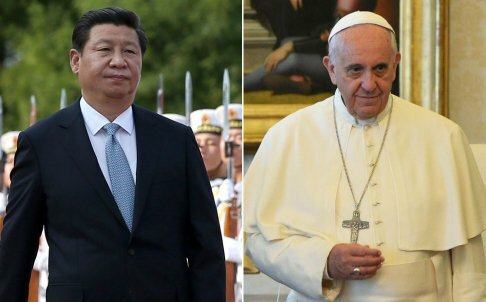 The Vatican is reportedly poised to strike a deal with the Chinese government to accept China’s ordainment of eight Roman Catholic bishops – effectively endorsing pernicious state intervention over the inner workings of a religious faith. This step appears to be a key component to re-establishing ties between China and the Vatican cut in 1951. But in accepting this arrangement, Pope Francis, who has acted as an international diplomat addressing political crises from Iran to Venezuela, is underestimating six decades of intractable state hostility towards religion. In China, religious practice outside the confines of the five state-approved religions is considered “abnormal,” and subject to prosecution. Authorities have recently released draft revisions to its abusive 2005 Religious Regulations, further tightening the screws on believers of all creeds, including requiring that religion must not “endanger national security” and strengthening control over foreign religious influences. Interest in religion across China has surged in recent years, prompting authorities – who fear it as a vehicle through which opposition to the Communist Party could be organized – to install surveillance cameras in mosques in Xinjiang, aggressively limit participation in the world’s largest Tibetan Buddhist educational institution, and to use blowtorches to remove crucifixes from churches across Zhejiang province. Catholics are required to worship through the Chinese Catholic Patriotic Association (CCPA), and the Vatican’s overtures may especially pain those who have paid a high price for their devotion to the church. Underground bishop Shi Enxiang endured more than five decades of arbitrary detention, harassment, and torture for his faith. The 94-year-old was secretly detained when he reportedly died in 2015; authorities have yet to even acknowledge his death or bury him with appropriate rituals. Underground bishop James Su Zhimin was arrested in 1997, and has not been seen since 2003. Shortly after his 2012 ordination, Shanghai Bishop Thaddeus Ma Deqin renounced the CCPA and was promptly forcibly disappeared; after four years of house arrest he has re-emerged and reversed his position about the CCPA. Has Pope Francis asked Chinese authorities about these cases, or those of other persecuted Catholics? Has he inquired about the forced disappearances, prosecutions, or humiliations of other religious practitioners in China? The Vatican should not take on faith any offers from Beijing until it offers religious freedom to all across China.